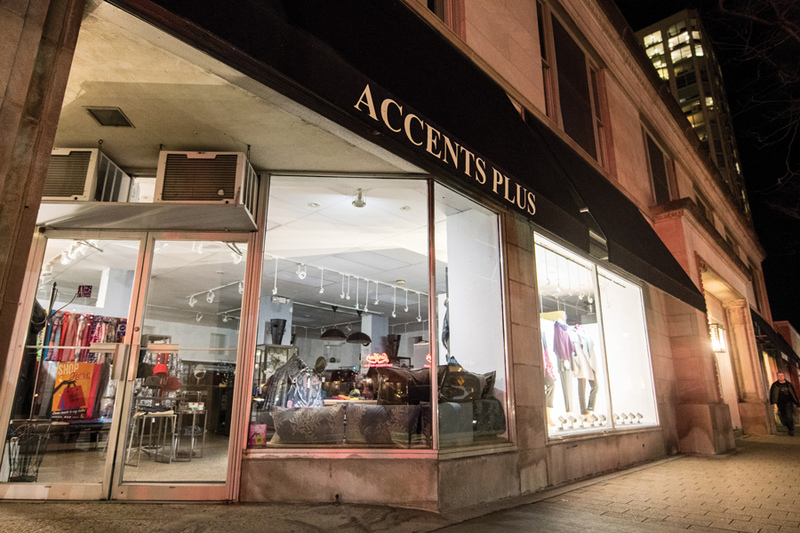 Accents Plus, 601 Davis St. Aldermen delayed the vote on the proposed development at that location after the developer asked for more time on the project. Aldermen tabled a vote at Monday’s City Council meeting on a proposed 33-story development at 601 Davis St. until Jan. 22 after the developer asked for more time on the project. Ald. Melissa Wynne (3rd) told The Daily that it is not unusual for an applicant to request a proposal be held on short notice before a council meeting. She added that developers occasionally decide they want to make changes to their applications because of feedback they have received from community members or City Council. The developer –– Vermilion Development –– submitted a plan for a 318-unit residential building with 7,481 square feet of commercial space and 176 parking spaces. To accommodate its size, the development plans to incorporate the existing University Building and build on the vacant lot next to it. However, the Plan Commission recommended that the city deny approval of the development. According to city documents, the proposal does not meet the standard guidelines of the Inclusionary Housing Ordinance. To comply, developers can make 10 percent of their total units affordable, make a fee-in-lieu payment, suggest an alternative equivalent proposal or petition for a reduction of the requirements. The developer suggested an alternative equivalent proposal of four affordable housing units and a $1.5 million payment to a local nonprofit –– St. Vincent De Paul –– that will work with the developer on creating a rental assistance and homelessness prevention program. The Housing and Grants staff said in a city memo the alternate proposal is not a sufficient plan and suggested adding either 32 affordable units or making a $3.2 million fee-in-lieu payment to the affordable housing fund to comply. Doug Sharp, a member of Reclaim Evanston — an organization dedicated to fighting for economic, racial and gender equality — said at the meeting that he came to speak against the project because he believes it could negatively impact affordable housing in the city. Sharp said approval of the project could weaken the ordinance, and he does not understand why the city is still considering the proposal. The plan will need a two-thirds supermajority to pass on Jan. 22 since the current proposal exceeds the city’s building height and floor area ratio requirements.